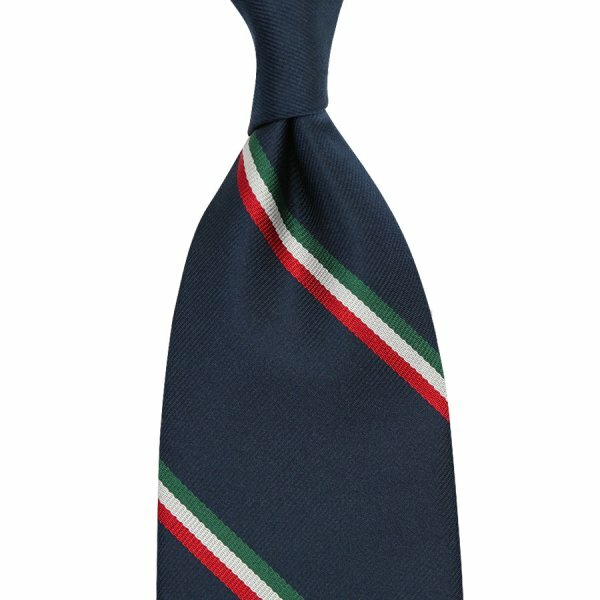 Product information "Repp Stripe Silk Tie - Tricolore - Handrolled"
Il Tricolore - the name of the Italian flag which you can find here on a classic navy background. Besides that this is just a beautiful color combination, we decided to launch this tie to celebrate our move to Florence. Works wonderfully with a mid grey suit, white shirt, white linen pocket square, navy striped barathea braces and boxcalf captoe oxfords in brown or black. Related links to "Repp Stripe Silk Tie - Tricolore - Handrolled"